As you take a few minutes to review our website, you will find that our company is now made up of four divisions. Die Cutting continues to be our core business, and because of customer demands for one-source purchasing, we have separated the distribution section into its own division. This division provides customers with non-fabricated parts and components. This expansion was also required as a result of our company being selected as ITW’s authorized distributor of their electrical insulation material, Formex® for the entire Southeastern United States. In continuing to provide our broad range of die cutting services to our customers who have opened facilities in Mexico, we are pleased to have opened our own 15,000 s.f. plant in Guadalajara, Mexico. We anticipate tremendous growth in this market, as our customer base continues to grow south of the border. From this location, we offer all of the same one-source fabrication services with one extra, valued-added feature. In the event that we would run a particular part back in states, we offer stocking of that finished part in our facility in Mexico and ship direct, within country, to our Mexican customers. We hope that you will consider McPherson de Mexico for your die cut needs south of the border. Our assembly division, Southern Assembly and Packaging, was established in 1993 and moved into its own facility in 1996. We provide mechanical and electro-mechanical assembly services as well as automated bagging and component packaging services. We provide both labor only and total purchased component assembly services. These services have resulted in tremendous cost savings for OEM manufacturers, allowing them to reduce their purchasing and inventory costs. Due to our favorable outsource labor rates, subsequently reduce their cost of manufacturing. We offer sub-assembly and provide complete inspection, re-cartoning and disassembling services for manufacturers with returned and recycled inventory products from wholesalers and retailers nationwide. SealCraft Corporation is a die-cutting and kit packaging company already supplying additional key markets and customers. 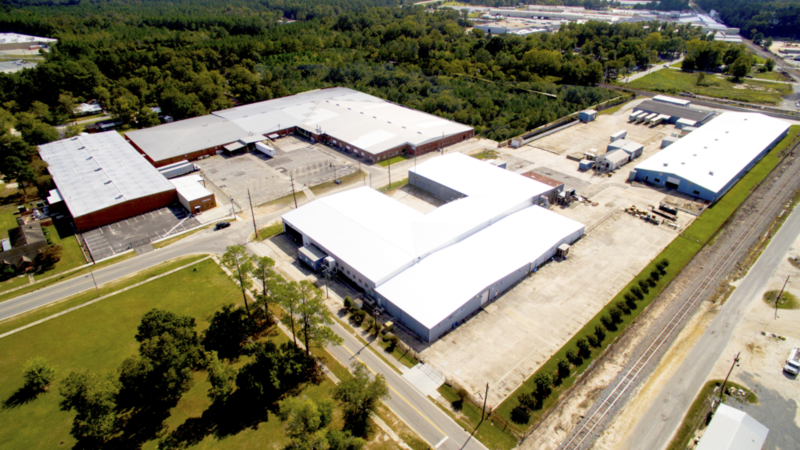 SealCraft is the successor to Teledyne Continental Motors gasket and seal manufacturing operation in Walterboro, South Carolina. We supply rebuild kits for both Continental & Wisconsin Engines, and a wide range of OEM customers. We are excited to have formed this alliance, and, together, McPherson Manufacturing, Southern Assembly & Packaging, and SealCraft look forward to the opportunity to provide solutions to meet your sealing and assembly requirements, and to further cement our relationships by providing customers with outstanding service and quality, at competitive prices.